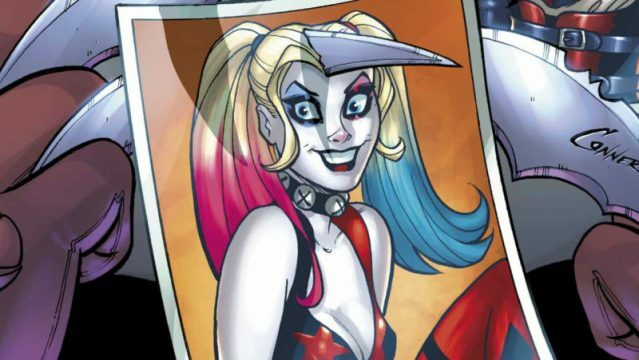 Although Harley Quinn is undoubtedly more popular than ever right now, there’s actually a bit of divisiveness occurring amongst the fanbase for the oddest of reasons. You see, there are the purists that not only contend the character straying from her original jester costume developed in Batman: The Animated Series, but also a bit of displeasure taken in new fans boarding the bandwagon in the advent of Suicide Squad. Yes, it’s silly, I know. Everyone has their own jumping on point, after all. Having said that, not everyone may be giving the current Harley Quinn comic the attention it deserves, which is actually offering the best of both worlds at the moment. You see, not only are Amanda Conner and Jimmy Palmiotti still doing their thing with the main narrative, but they actually managed to lure in one of the character’s co-creators, Paul Dini, having him write the backups exploring Harley’s early days when she was cavorting with the Joker. “Well, Jimmy called me! [Laughs.] The End! He was like, ‘You want to write some Harley?’ And I was like, ‘Yeah.’ And that was that. He put it out there that they were looking to do some back-up stories in the book that were more of Harley’s early days, and that sounded like a lot of fun to me, to go and revisit that version of the character. That sounds a bit cryptic, but as long as the book maintains the level of quality that’s become expected of it, we can’t complain too much. In the meantime, be sure to pick up Harley Quinn #21, which is now available in comic shops.